Keep moving forward and manifesting your destiny! These little irritants that are affecting you now are simply a "swarm of jealous and fearful" individuals that are nervous that you will be "better" than them. Ignore them and keep going! I would really like to remind you how unimportant and temporary all things are – especially those things that irritate you. You can easily overcome these small irritations by focusing on protecting your creative projects as well as yourself from those who wish to undermine your goals. Be sure to set your boundaries and to be very clear with what they are. Keep those boundaries well maintained. Sometimes you simply have to be blunt – and tell those around you to “back off” so that you can get your work done. If you are being constantly distracted and sidetracked from the goals that you have set for your life then you must take a good look at your environment both at work and at home. There is something that you need to change within it. Perhaps focusing on staying grounded and sticking with the smaller tasks will be more fruitful for you. Be aware of the people and events around you that can drain your energy then withdraw from the dramas and stay focused. Occasionally obstacles will arise in order to help you slightly alter or change the direction you are headed in. Perhaps the reality of what you are looking at is based in assumptions rather than truth. Be sure to continue to analyze and re analyze your goals to make sure they are still in keeping with your purpose. Direction can change from moment to moment so be flexible and find new paths in order to overcome the obstacles you face. Regroup, re analyze, and redirect, there is always an easier way – even if it is a less direct way of achieving your goal. Taking careful evaluation of any given situation is a huge step toward successfully setting up boundaries and overcoming the obstacles that have been impeding your own personal growth. If a situation or a person close to you has been draining your energy and resources find ways to disengage and remove yourself from the circumstances. Know that happiness and good fortune are always just around the corner. Very grateful for your message. Thank you so much for the message! 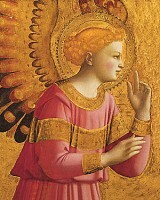 Thank you angel for the guidance was so much in need today !! Thank you so much my archangel Angels I’ve learned a lot to night the messages I won’t for get I will still sing or feel joy an d faith will never leave me that’s all I ever wanted for messages to motivate and uplift me thank you bless on bless love you…. Tha k you, I am currently struggling. Fasinted and curious that I have a Guardian Angel, Jeremiel, Please, please, help me find my way in the darkness of my future. Thank you.